Entry Fee: 22 euros (VAT included) for adult photographers, a single payment will allow competing in all categories including videos and films; for the novice-under 20 photographers, participation is free. The Maria Luisa Memorial is calling the twenty-ninth edition of its photo and video contest, with the purpose of continuing with the promotion of the artistic, and at the same time, continue with the diffusion of the natural environment and with its necessary protection. Mountain, nature, wildlife, mountaineering, climbing, landscape, underwater world, biodiversity, flora, extreme and adventure sports, etc. will be the reference of the edition in this contest one more year, not only in the photography categories but in the section dedicated to videos, films and documentaries as well. 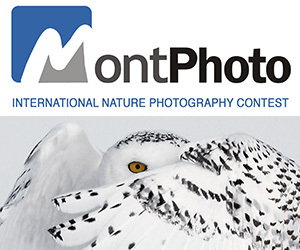 In addition, on this occasion, a new thematic category dedicated to photography and videos in the National Parks has been created, as a way to contribute to the commemoration of the Centennial of the Peaks of Europe National Park, the first park in Spain. Year after year photographers from all over the world take part in this contest, having done it already from more than 100 different countries. With the passing of the years has become a meeting place not only for widely recognized international photographers, but also for undiscovered talent and new photographers. 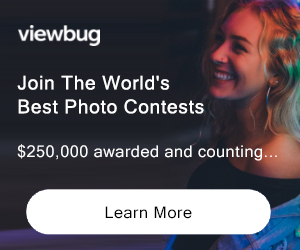 With the rules, instructions and advice provided you will easily be able to prepare your photographs and/or videos to compete in a contest that lacks any commercial purpose, and in which, as usual, only you and your work will be the true protagonists. PRIZE DETAILS: The Overall Winner of the "XXIX Memorial Maria Luisa", will be awarded a cash prize of €3.000 , a Trophy, a Diploma, a book portfolio and two invitations to the awards gala. The Overall Winner will be chosen from the fourteen category winners; the Jury will give the Prize to the most memorable & shocking caption. The overall winner will receive a cash prize 3.000 Euros, including the amount corresponding to his/her category.  Winner Prize of each Category: € 300, Trophy, Diploma, a book portfolio and two invitations to the awards gala.  Young Photographers Prize: It will be awarded to the best photograph submitted by contestants not having reached the age of 20 years on 1 December 2018. It will consist of a Samsung Tablet 4G, trophy, diploma, book portfolio and two invitations to the awards gala.  Special award for the theme of the year: it will be a BN008 Citizen Watch, trophy, diploma, a book portfolio and two invitations to the awards gala.  Award for best video, film, documentary of 29 MML-Photo. This prize will be endowed with a voucher worth 3000 euros, which can be exchanged, directly and at the request of the winner, for products marketed by Foto Ruano, trophy, diploma, book portfolio and two invitations to the awards gala. The Judges Panel will also grant the consolation prizes or honorable mentions as it deems pertinent in each of the thematic categories. Not eligible to enter? - Find contest where you are. COPYRIGHT: The authors of the photographs and video will retain all legal rights to the same for any future use. USAGE RIGHTS: The Organization reserves the right to make copies of all award-winning photographs as may be required for exhibitions, projections or publications related exclusively to the activities of the present competition. The Organization of the competition will refuse any request that may be received from third parties with commercial interests, such as the concession, loan, exploitation, sale etc. of the personal details of participants and of the images submitted by them for the purposes of the competition. If we had knowledge of the existence of a claim to purchase an image or its rights, the organization would directly put in touch the author of the photograph with the person who showed interest, so that they can make a convenient deal.